Chemdog lovers will rejoice over Tomahawk seeds. Tomahawk is a cross of Josey Wales’ Gorilla Glue #4 and Greenpoint Seed’s own Stardawg male. Gorilla Glue #4 (GG4), a three-way cross of Sour Dub, Chemdog’s Sister, and Chocolate Diesel, has a reputation for a nearly-white sheen of resin on her skunky-sour, chocolate flowers. 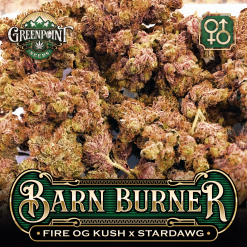 GG4 has become popular among commercial growers due to her outstanding bag appeal and impressive yields. Tomahawk has FINALLY arrived ladies and gentlemen! 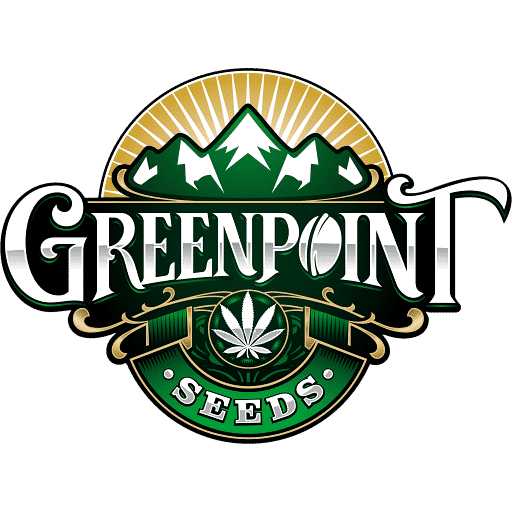 Greenpoint Seeds now offers the best Gorilla Glue hybrid seeds on the market, making the flavor and potency of the GG4 strain available worldwide. Chemdog lovers will rejoice over these seeds. 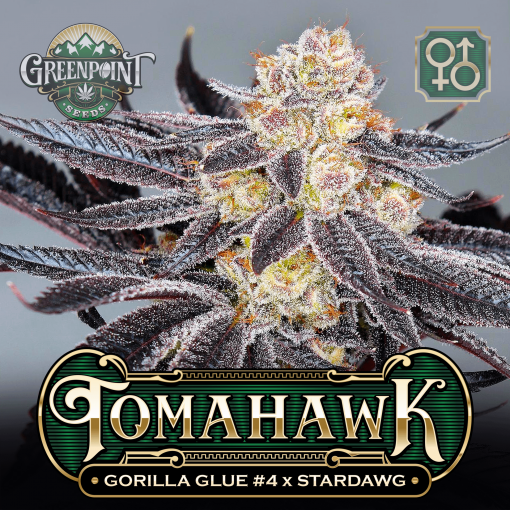 Tomahawk is a cross of Josey Wales’ Gorilla Glue #4 and Greenpoint Seed’s own Stardawg male. Gorilla Glue #4 is a three-way cross of Sour Dub, Chemdog’s Sister, and Chocolate Diesel genetics. She has a reputation for a nearly-white sheen of resin on her sour chocolate flowers. Gorilla Glue has become popular among commercial growers due to her outstanding bag appeal and impressive yields. 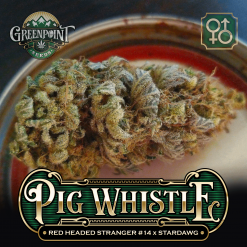 Connoisseurs are pleasantly surprised with the smoke of GG4 as well. It is potent enough to satisfy and certainly has an intriguing way of stimulating the olfactory senses. It smells and tastes like sour diesel fumes and chocolate! While we have smoked stronger flowers, GG4 tests well at labs with consistently high THC percentages, sometimes reaching over 30% THC. 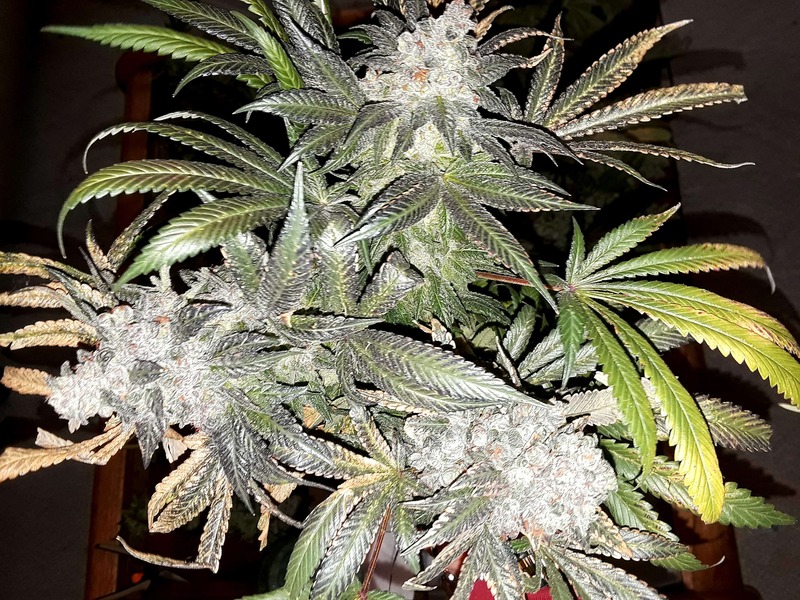 The Stardawg male will undoubtedly bring out the more Chemdog-dominant aromas in this marijuana cross, and many growers report these ladies overpowering all the other aromas in their grow rooms and gardens alike. 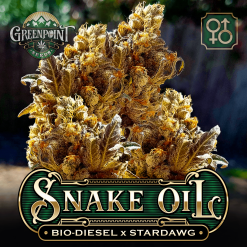 Expect sour, caustic, chemical-cleaner aromas and skunky, funky, diesel and fuel-oriented cannabis plants as well. Most of all Tomahawk seedlings are sure to bring the flavor and pack a punch! Phenotypes vary heavily in this cross, as is typical with GG4 hybrids. Furthermore, this makes Tomahawk particularly exciting for phenotype hunters, and growers looking for a unique plant that isn’t in anyone else’s garden. If you appreciate everything that Sour Chem genetics has to offer but want something new or unique, the Tomahawk is a perfect choice. Sativa leaning hybrid. Potent, no ceiling. Top early. 30 out of 39 people found this helpful. Was this review helpful to you? Really pleased with how these turned out. Its definitely one of the better GG4 crosses. 100% germ and they’re very vigorous frosty tasty plants. 28 out of 32 people found this helpful. Was this review helpful to you? 10 out of 27 people found this helpful. Was this review helpful to you? Tomahawk is an exellent plant for me, a taste and a super profit. 6 out of 22 people found this helpful. Was this review helpful to you? Popped 2 packs. Lucky to find 12 beans in each pack. Vigorous little buggers they just sprang to life and up they came. 100% germ hoping for a good M/F ratio. Will report back with results and photos. Excited AF to see what these little gems will bring forth ! 10 out of 23 people found this helpful. Was this review helpful to you? A great one to gro, A+ for sure. of course the GG gives its trademark very frosty coating. 20 out of 20 people found this helpful. Was this review helpful to you? So far so good had all 11 germinate! And are growing fast! Looking forward to seeing these bad boys in flower! 5 out of 14 people found this helpful. Was this review helpful to you? 16 out of 22 people found this helpful. Was this review helpful to you? You can’t loose with this cross Gorilla Glue #4 mixed with chemdog, yum yum. Get it cheap on reverse auction. 4 out of 14 people found this helpful. Was this review helpful to you? All 11 have sprouted out of the soil and growing strong except for 2 that are growing slowly and 1 that I may kill but all is looking great looking forward to the veg! Most are growing strong except for 2 that are growing slowly and 1 that I may kill but all is looking great looking forward to the veg! The ones that are the tallest are growing super fast! 1 out of 9 people found this helpful. Was this review helpful to you? 12 out of 15 people found this helpful. Was this review helpful to you? Popped five and got two females. One heavier indica and one more sativa leaning. Buds are just beginning to form but looks like they will stack nicely. No scent yet but will update when available. Vigorous too. Got my seeds today will be germinating soon and posting pics of progress… thanks GPS!!! 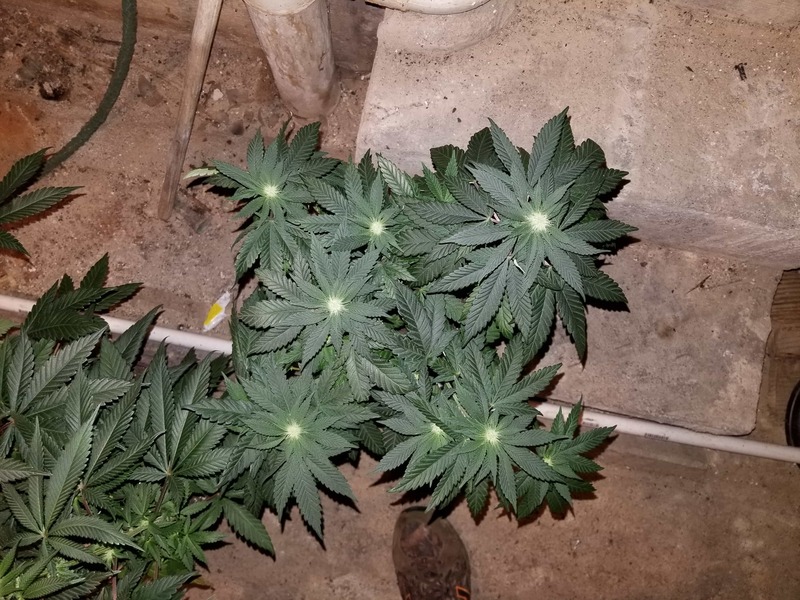 Has anyone had trouble with cloning this strain? For some odd reason this is the only strain that will not root! 3 other strains all have roots but 6 tomahawks are in the aero cloner and not a single root! I ordered these on auction and quickly received them in the mail. I germinated four and three turned out to be females. That was two months ago. I vegged for 1 month and then started flowing. Two of the girls are about 34 inches right now and the other is around 25. I have been using nutes since the beginning of the grow. The buds are really starting to fatten up some. I cropped one plant and let other two grow. So far I’m loving this strain. I will update when i finish and am sure to give five stars then! Heavy Star Dawg leaning phenotype. Dense frosty nugs with nice smell.but not overpowering pungent. Grind it up and it smell way nice and has amazing flavour. Hard to explain the flavour but it’s just great and stays great all the way down the zube. Burns lovely, stays lit forever but doesn’t burn down. The medication, Starts with a long powerful sativa high, very potent but not too racey like some hazes can be. You stay medicated for hours, finishing with a nice gentle indica relaxation. My original review should have been a 5. This is more than expexted in every way possible! I’ve grown this one pheno of Tomahawk going on 5 times and plan on keeping this strain going for a while…..it is very Stardawg leaning with the Gorilla Glue gummy up the scissors sticky, chem smelling but yeah, not real strong smell……maybe I’m just used to smelling it……when you break it apart to roll it, your fingers get too sticky and I usually let someone else finish ’cause I gotta wipe off my hands with alcohol…. I ordered these on a Thursday and had them in my hands Monday when I got off work. Very happy with how quick they came and how easy this website is to navigate and order from. Cant wait to pop these. Popped 5 100% germ rate. 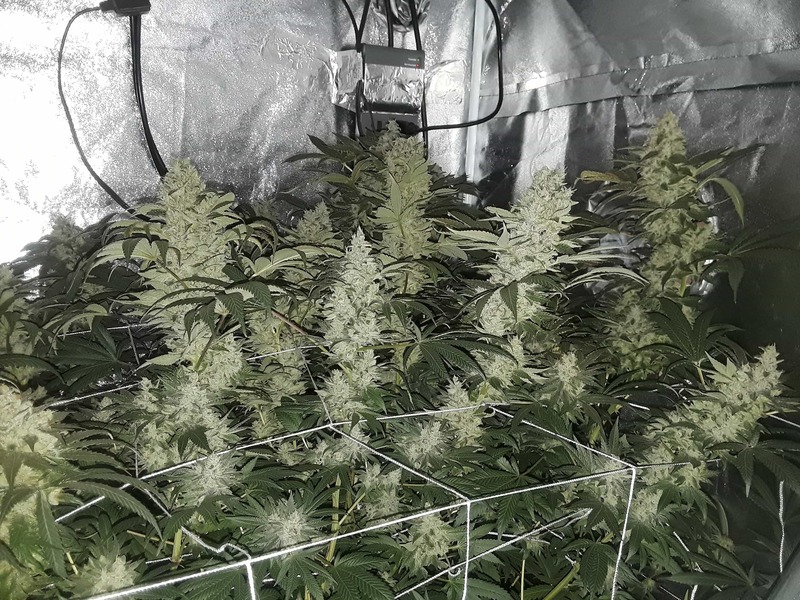 3 females 1 of which 54″ at day 60 of veg ( gave her to a bud). These 2 are day 9 of flower gonna lollipop and pinch them. Updates to come. Just put under scrog net…gonna let it fill the trellis then i will flip. Any one have luck cloning this strain? Day 57 of flower and looking impressive. Total diesel, chem janitors closet. 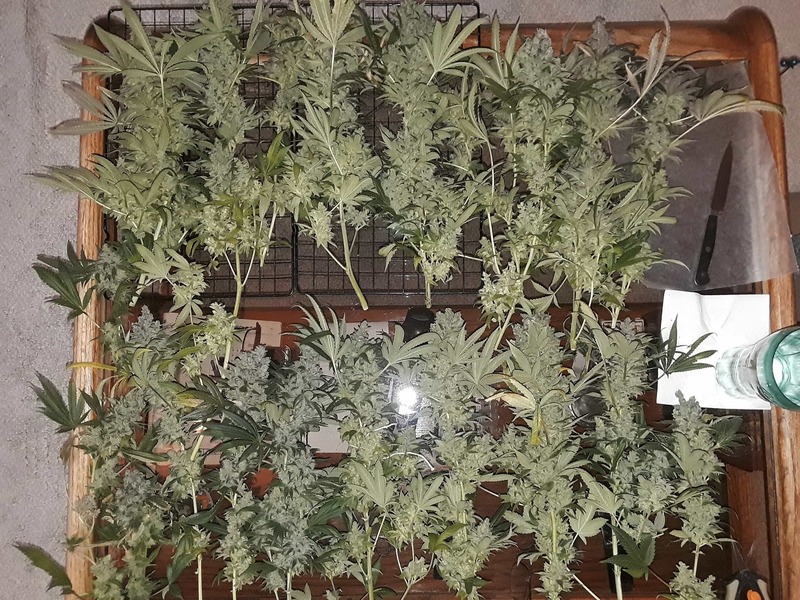 Great grower , from base to top easy 5′ another fatt yield . Phone flash does the color a major disservice. Cranking the UVB and looking toward the flush. Back with the finish. of his work as I’m going on 70 next Dec.2019. Did tomahawk and full moon fever in my 30×60. Tomahawk is on the right. 83 days of flower and 40 hours of darkness. Fantastic yield. Kept them 78 with40% humidity from day 60 and hit em with UVB. Wet with resin both have great color and smell of sour dub and citrus. Removed the colas so I could move these monsters and still left enough golf ball sized buds to fill a half dozen jars. ABSOLUTELY love the results with GPS. next up…. city slicker and orange blossom special. Got my pack at the end of last year, they’ve been sitting in my seed freezer so I decided to pop some. I only popped 2 and both germinated within 24 hours of being in the wet paper towel. 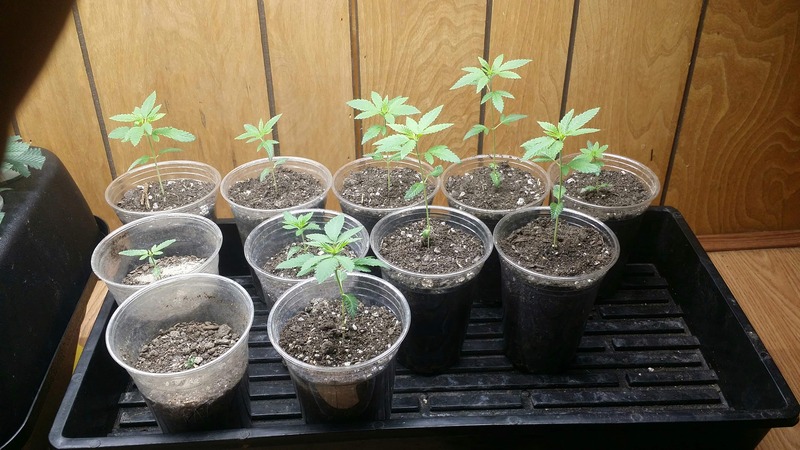 I planted them when they had about 1/2 inch tap roots and within another 24 hours under my LED seedling lights, they were 3 inches tall. I’ve never seen vigor like this before in my 8 years of growing. 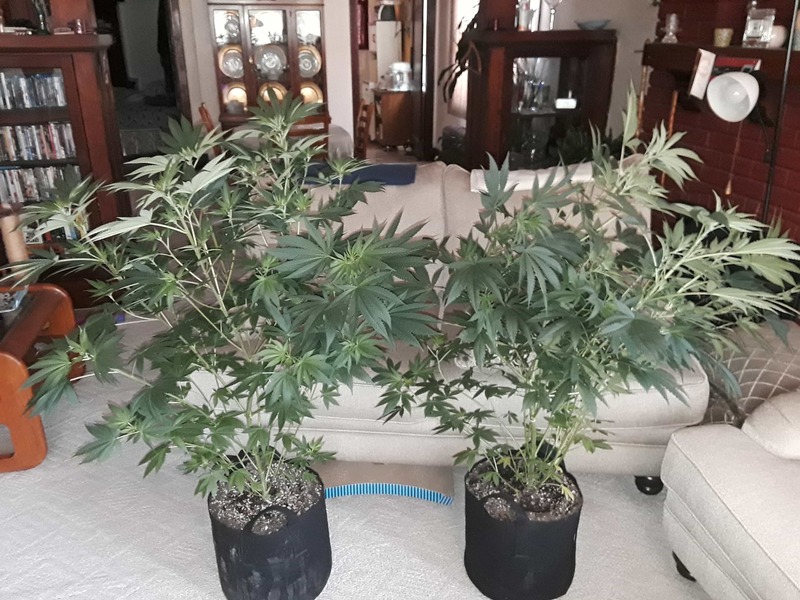 Both turned out to be female, flowered them both at the same time and they were done at 72 days of flower. 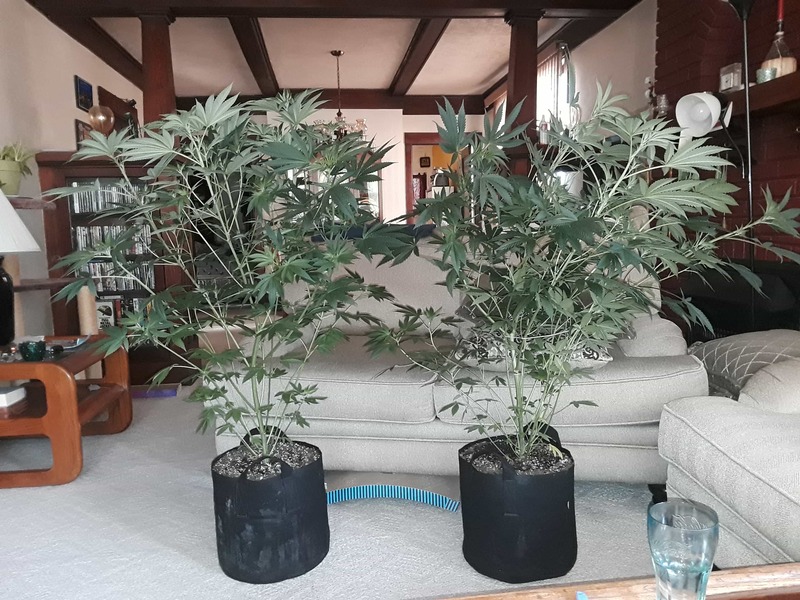 Both very bushy plants with huge donkey d*ck colas. Barely any larf at all. Very pungent underarm odor and sweet earthy taste. Yield was very good, plant #1 yielded 68g dry and plant #2 yielded 76g dry. Spacey high with intense couch lock body stone. 10/10. Currently in the process of popping the rest of my beans for a mono crop. Greenpoint has a customer for life. I am very happy with my purchase of Tomahawk, very vigorous during veg and really starting to pack weight on during flower. Pic is from day 49 of flower. I made a review a while back but I’m growing a mono crop of Tomahawk right now so I decided to give you guys some grow tips for this one. Tomahawk doesn’t like a whole lot of nitrogen but it is very cal-mag hungry. Top as early as possible and train them to be as short as possible because the stretch is real. For some reason the root growth is wicked fast so if you’re starting them in solo cups like I do, you’ll probably find yourself having to transplant into a bigger pot sooner than you’d expect. I have roots exploding out of the bottom of my cups already. Also Tomahwak will eat as much light as you throw at her as long as the temps don’t get too high. 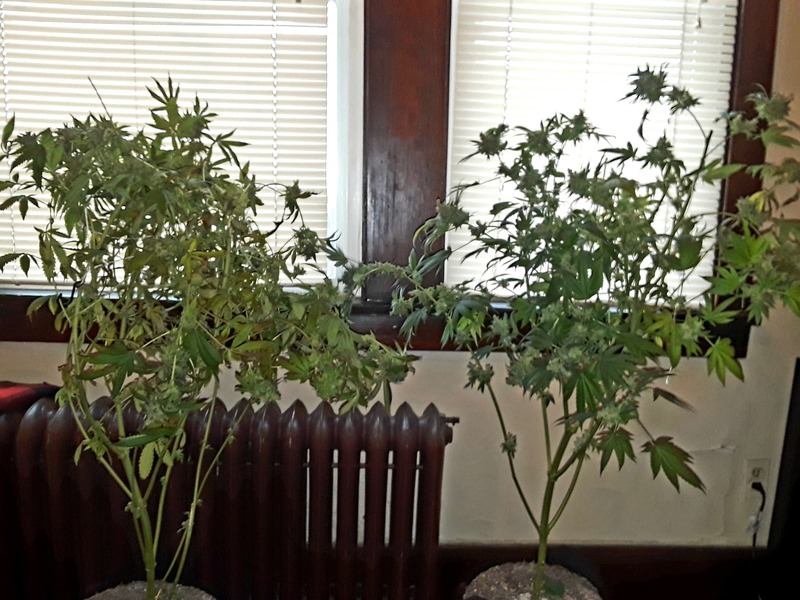 She purpled very easily in a cold room (60-65 degrees Fahrenheit). She responds extremely well to foliar feeding. That’s pretty much it for the grow tips, hope that helps some of you guys/girls out there. This is 5 plus if there ever was. 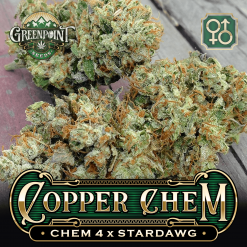 It runs with the two strains that were Golden Goat strains x Chemdawg or Polar bear OG. My grow pictured here was a grow cheap LED Grow. Two lights were 69.00 each and 300W so they say. High blues and reds. The next one was 89.00 and the final was a combo Cob / led at 117.00. They are in a 89.00 4ft. x 4ft. tent with a 15.95 fan. 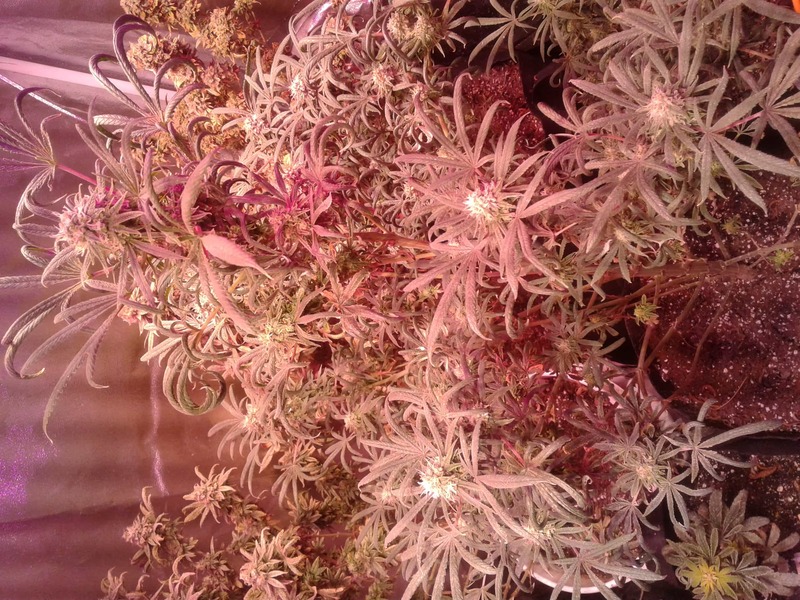 These plants pictured are 5 weeks into flowering.